Mr Leon Taylor: The Ninja of Vehemence- THE DEADFLEASHCULT - Textured speed paint. 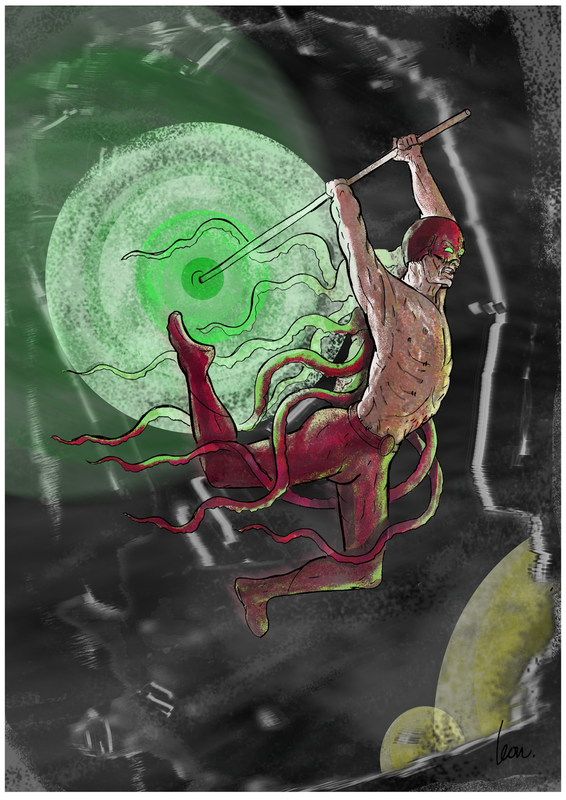 The Ninja of Vehemence- THE DEADFLEASHCULT - Textured speed paint. I really wanted to make a super group of characters with the idea behind it taking Japanese style prints of actors. My love for things that tend to rot and a new way of attacking the digital painting side of things. I use a technique I adopted from learning 3D animation and "texturing" my concept. This makes the skin appear more legitimate and overall. More rotten. Here is my second character The Ninja of Vehemence.